Another tragic fatal injury from a work accident in New Zealand, this time on board a fertiliser ship berthed at Lyttelton, Port of Christchurch. My heart goes out to the family, friends and colleagues of the deceased man. Every accident is preventable, and there is never an acceptable excuse for placing any worker into harm’s way, let alone repeatedly exposing workers to fatal risks. These tragedies were preventable – and so why weren’t they? clearly does not, to me, understand that the site and its safety management systems have failed this deceased man and his family. It’s good that the Maritime Union is supporting the family and colleagues, and calling for a meeting, but I am not convinced that they anyone understands the magnitude change in culture required. Even more sadly this is the second fatality at the Lyttelton, Port of Christchurch facility within a month, showing with arguable certainty that this worksite has broken safety systems and processes, leadership and culture. 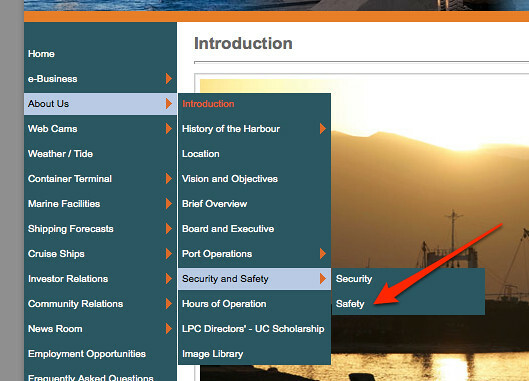 Is safety even a priority for the Port? One crude indicator which we can all see, aside from these twin tragedies, is that the Lyttelton Port of Christchurch website carries no reference I can find to either fatality, not even in their media releases. Sure, the fatalities may (or may not) have happened by workers not employed by or contracted directly to the Port, but they occurred on their site. Another indicator is that finding out about safety on the website is hard – it’s buried within the menu structure, and the result when there is underwhelming. The Port has faced tremendous challenges following the earthquake, and no doubt the challenges will continue as the rebuild evolves. But challenges to operations should never be a priority over safety. The board and management team should not rest until they can state unequivocally that the safety systems and culture have changed, and changed for good, and that people on their site can go home unharmed each day. If this were under my control the port (and any other facility) would be shut down immediately after any fatality, and not reopened until control of fatal risks was regained. I would conduct an all-hands meeting (as suggested by the union) and ask everyone to commit to a tougher set of site safety rules – and enforce them. The rules would include the obligation to stop any observed unsafe work, and I’d hire in external experts to stick around for months to coach everyone through the process. Not everyone will get the new Zero Harm approach, and a small percentage may need to be prohibited from accessing the site. As an uninformed outsider in any case like this I would stand the CEO down. I would replace him with a new leader with a mandate to place Zero Harm back at the top of the site priorities. I am sure the CEO in this instance is going through hell, and I appreciate that me saying this will not make that better. He may well be superb at his job, but the priorities the board and he agreed to were not correct and an epiphany is required. So while the CEO may be able to change his approach, he is also somewhat caught in the crossfire here, and in my experience removing the CEO (and at times the management team and/or board as well) is the strongest signal that owners can send to a site that things simply have to change. Finding a new CEO who will drive change will not be an easy job, and neither will that person have an easy time of it. He or she will need to work top down and bottom up, and get the support of the Union, employers and all the other players on site to make sure that safety outcomes improve. It’s a challenging job, but one that has been successfully done across a wide range of industries – I’d start by calling recruiters for senior staff in the Australian mining sector. The standard is quite simple really – we should all fight to ensure that everyone gets to go home safely at the end of each day. Chorus: Turn around and go. When will the next fatality happen at Lyttelton, Port of Christchurch?